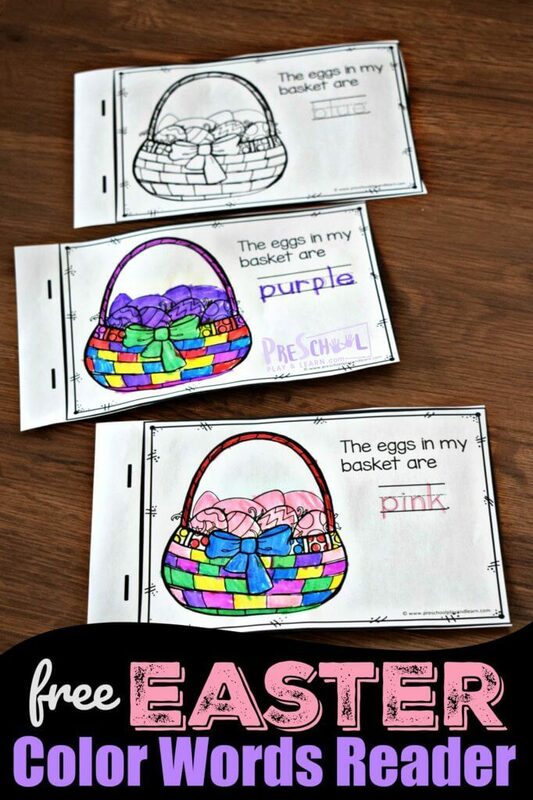 Practice color words for the Easter holiday with this Easter Color Words Reader from Preschool Play & Learn! Beth has created these adorable little reader pages for your child to practice tracing color words. Each page comes with a sentence, a color word to trace, and an Easter basket full of eggs to color! This is appropriate for very young learners from toddler to preschool age! Check out this Easter Color Words Reader today!